A skilful, goal scoring winger with speed to make all but the nippiest full backs feel glacially paced, John Dempster could operate on either side of the pitch. 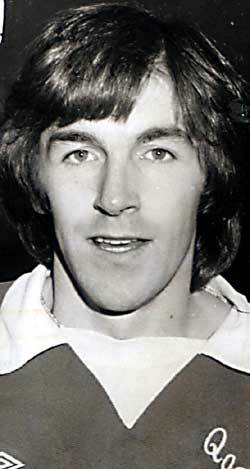 His penchant for penalties helped clock up a creditable goals tally and his decade of service through the 70s place him well in the QoS appearances list. 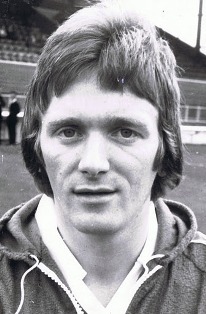 Not the first Ayrshireman to enhance his reputation in Dumfries, Dempster was born in 1948 in Muirkirk, the same town of birth as Willie Ferguson from QoS of the 30s and Alex Smith who played 8 for seasons in the 50s. Dempster is prominent in both the QoS appearances and goalscoring. Kind enough to fit us in despite pre-holiday preparations, John Dempster contributed to this article with interviews on 29th June and 1st July, 2009. Dempster – “I was born in Muirkirk in 1948. I played with Muirkirk juniors then I went to Queens. At that time being quite honest there were that many clubs after me, a lot of English clubs, also Kilmarnock, in fact I was actually told not to sign with anybody until Kilmarnock had spoken to me but at the finish up it just got to the stage where they were hanging on too long. I thought, ‘No, I’m just going to go’. And I enjoyed playing at Queens when I was down for a couple of trials with them. I liked the park at Queens. As you know it’s a good park, a good surface. That was impressive. Plus the directors at the time, I got on very well with the directors. Willie Harkness and Sammy [Harkness] and Mr Watson and Billy Houliston. These kind of things, you weigh them all up. That was the kind of thing that impressed me most. “It must have been a blatant penalty if the ref gave a penalty against Rangers, I can tell you. Tommy Bryce scored our second if my memory serves me well, I can’t remember what it was like but I think it was him that scored it.” It was indeed Tommy Bryce (mark I), with a last minute header from Tommy O’Hara’s corner kick. “Very vague to be honest, it all sort of passed me by very quickly. I don’t recall too much but we had a certain penalty turned down. They missed a penalty. We got beat 1-0”. Queens kept Rangers out until the 78th minute before Derek Johnstone’s goal. 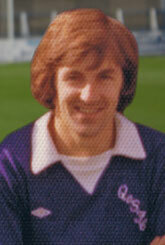 The next game Dempster brought up was against Dundee in the League Cup in 1977/78. “Your answer is quite unusual in that the first game that is normally mentioned by everybody that was involved was the 5-4 Scottish Cup tie against Ayr United”. Of course life isn’t perfect and the same applies to Dempster. Dempster of coursed bounced back. 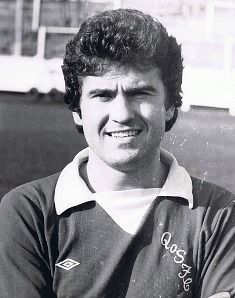 1974/75 produced the best Queen of the South league finish of the 70s – second place in the second tier. However there was no reward of a return to the days of top tier football. The best players played alongside at Queens? Who had the best game against you when you were in a Queens strip? “Obviously one of the old firm games. I think probably Davie Hay of Celtic. I can’t remember if I was directly in opposition to him. We actually played against Lisbon Lions, Billy McNeill, Jimmy Johnstone, these sort of players, it was 5-1 going on 20 (1970/71). I scored a goal that day but we got absolutely annihilated, they had their full team out, there was no reserves playing. It was the Scottish Cup. Twice we played them in the Scottish Cup at Parkhead and we got beat 5-1 twice. The second time flattered them (the 1976-77 quarter finals) but the first time flattered us at 5-1." 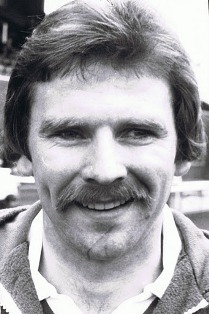 In 1979 Dempster joined a St Mirren side who impressively finished the season as Scotland’s third best team (above Jim McLean’s Dundee United as well as Rangers). On a personal level, things didn’t work out how Dempster had hoped. "And the Queens of today?" "Aye, it’s good, it’s good for clubs like that to get into a one off situation for it to happen. It doesn’t happen often enough. The big clubs try and restrict them from going into European games. In such a way that there’s no way that they can get qualification into the European games. But aye, it’s good when it happens." While it’s a different level of exertion from testing the acceleration of a full back, Dempster still keeps himself active today. John Dempster scored 98 times during 355 first team games for Queens. As at 12 December 2017 he is sixth in the club’s all time goal scoring charts and twelfth in the club’s appearances chart.